Edmonton Neurotherapy: Neurofeedback & neuromodulation clinic located in southeast Edmonton, Alberta. Located within Mind Alive Inc.
Edmonton Neurotherapy offers quantitative EEG brain imaging and neurometric analysis of brain functioning as well as non-medical brain stimulation and neurofeedback approaches to the remediation of a variety of psychoneurophysiological disorders. Neurotherapy is a broad term that includes a number of related technologies that help the brain to normalize and optimize its functioning and assist in correcting cognitive inefficiences. Neurotherapy techniques take advantage of new brain imaging research that clearly shows how the brain is constantly changing itself in response to experience and its own activity... a concept called "neuroplasticity". Norman Doidge's newest book, "The Brain's Way of Healing" [2015, Viking Books USA ISBN: 978-0-67-002550-3] is an excellent follow-up on his earlier work on brain plasticity. In this book, Doidge shows how the amazing process of neuroplastic healing really works. He describes natural, non-invasive avenues into the brain provided by the forms of energy around us - electricity, light, sound, vibration, movement - which pass through our senses and bodies to awaken the brain's own healing capacities without producing unpleasant side effects. 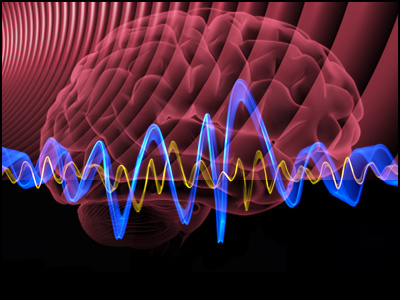 Neurofeedback is a sophisticated form of biofeedback and an extremely versatile treatment for symptoms and conditions that are the result of brain dysfunction. Neurofeedback methods such as electroencephalographic (EEG) and hemoencephalographic (HEG) biofeedback are used to train the brain to modulate the excitatory and inhibitory patterns of specific neuronal assemblies and pathways as well as cortical blood perfusion and oxygenation to increase flexibility and self-regulation of inhibitory and activating patterns. Neurofeedback helps individuals learn how to self-regulate their cognitive and emotional functioning and is gaining widespread recognition as an effective adjunctive or alternative approach to pharmaceuticals for the treatment of many different psychological disorders and chronic psychoneurological conditions. Neurofeedback is recognized by the American Academy of Pediatrics as a treatment for removing ADD/ADHD symptoms as effectively as medications. Brain stimulation technologies use low amperage electricity, flashing light or syncopated sound to directly and safely stimulate the brain to decrease or increase brain activity as desired to improve functioning and reduce problematic symptoms. With offices located within Mind Alive Inc., [www.mindalive.com] Edmonton Neurotherapy is the independent private psychology practice of Dr. Horst H. Mueller, an Alberta-registered psychologist with board-certification in EEG neurofeedback (BCN) and psychopharmacology (ICPP). Dr. Mueller is also a registered Canadian health services psychologist (CRHSP). Although not formally associated with Mind Alive Inc., Dr. Mueller has easy access to and uses the resources available through Mind Alive for the benefit of his patients. Keywords: Edmonton Neurotherapy, Edmonton, Alberta, Canada, Dr. Horst H. Mueller, registered psychologist, psychology treatment services, neurotherapy, neurofeedback, neuromodulation, neurostimulation therapies, biofeedback, QEEG, brain mapping, neurometric analysis, LORETA, EEG neurofeedback, hemoencephalography, HEG neurofeedback, audio-visual EEG entrainment, AVE, cranial electrotherapy stimulation, CES, transcranial direct-current stimulation, tDCS, bio-acoustical utilization device, BAUD therapy, ADD, addictions, ADHD, ASD, anxiety disorders, autism, autism spectrum disorders, bipolar disorder, brain injury, chronic pain, depression, dyslexia, epilepsy, FAS, fibromyalgia, GAD, learning disabilities, LD, migraine, MDD, OCD, PTSD, reading disabilities, seizure disorders, TBI, psychoneurophysiological disorders.